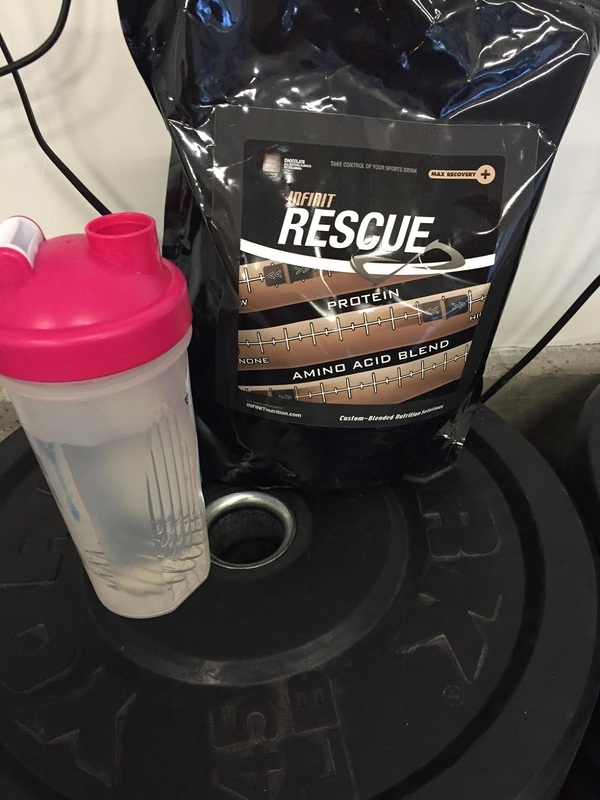 The month of May proved to be a great start to the summer for Team Infinit. With just over two months away from the start of the 2016 Olympic Games in Rio, the team is ramping up their competition schedules. So far, Ryan Cochrane has qualified for the Olympics in swimming, and Kate O'Brien helped qualify the Sprint Cycling team. There are still a handful of athletes looking to qualify for the games themselves, including 800m runner Melissa Bishop and beach volleyball duo Ben Saxton and Chaim Schalk. In other news, Lionel Sanders continued his win streak this season with his 4th 70.3 victory in a row and Jolaine Undershute finished 2nd at the CrossFit Games Masters Qualifier and will be heading to her 5th CF Games as a Masters athlete. The month of June is shaping up to be a busy one for the Team. Make sure you stay tuned to our Instagram (@infinitcanada) and Twitter (@INFINITCanada) for updates on the athletes performances and all things Infinit Canada! June 2: Melissa racing in Rome in the Diamond League. June 2-8: Cindy and Team Canada in Colorado. June 4-11: Francis at the Continental Qualifiers. June 4-5: Gabe and Sergey are competing in the NORCECA Trials. June 5: Melissa at another Diamond League race in Birmingham. June 7-11: Ben and Chaim at the FIVB Germany Grand Slam. 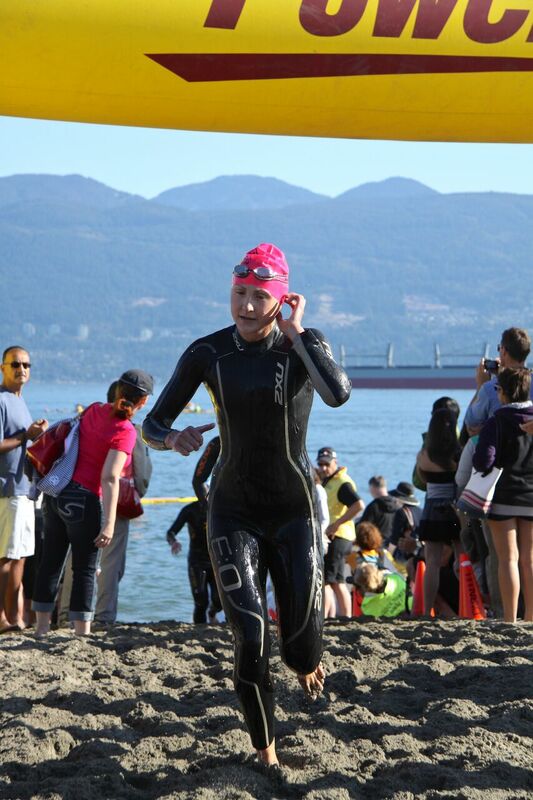 June 12: Lauren is racing in the Victoria 70.3. 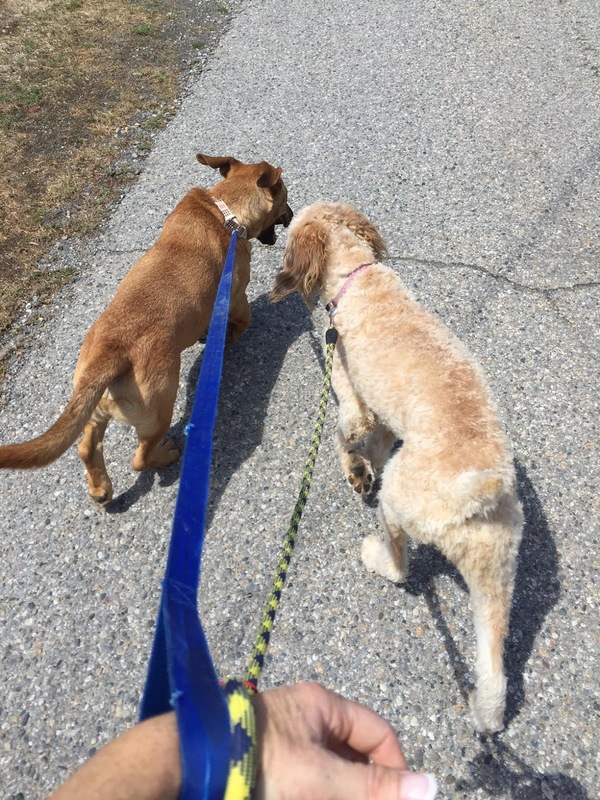 June 12: Curtis will be staying close to home and racing in the Leamington Triathlon. June 14-16: Ben and Chaim competing in the FIVB Poland Grand Slam. June 17: Melissa is back racing on Canadian soil at the Vancouver NTL. June 18-19: Julie racing solo at the Golden two-four. June 19: Melissa at it again in Victoria, BC. June 22: Cindy and the team are competing in Lake Placid. June 24-26: Gabe and Sergey are in Toronto for the Toronto Grand Slam. June 26: Back at it again, Curtis will race in the Belle River Long Course Triathlon. June 26: Lionel looks for his 6th straight win at the Mont Tremblant 70.3. June 29-July 3: Ben and Chaim are in Porec for the Swatch Major Series. Day in the Life of Erica Livett! 5:00am: Alarm goes off. I immediately turn my bedside light on. 5:06am: I'm up after a quick cuddle with the animals. How could you leave bed with these two snuggling up to you!? 5:10am: Walk downstairs and put coffee on, take my Infinit Aminos, turn lights and heat on in garage gym and go back upstairs to get dressed. 5:30am: Training partner is here and we get stuck into warmup and training for the morning, typically consists of conditioning, simple strength movements and gymnastics drills. I am not so explosive to do Olympic lifting at this hour. Classes run until 10am and I'll usually see one or two private clients in the day too. 3:00pm: Emails and business stuff. 3:45pm: Clients arrive for afternoon classes. 7:00pm: Done work - woohoo! 7:30pm: Crash on coach with dinner. Same as lunch basically. Chat to my roomie about the day and have some laughs. 8:30pm: Prep for next day. Grind coffee, write programming on the board, tidy kitchen and house. 9:00pm: In bed and lights out! 20 Questions with Lauren Babineau! We would like to introduce you to the newest member of Team Infinit - Lauren Babineau! 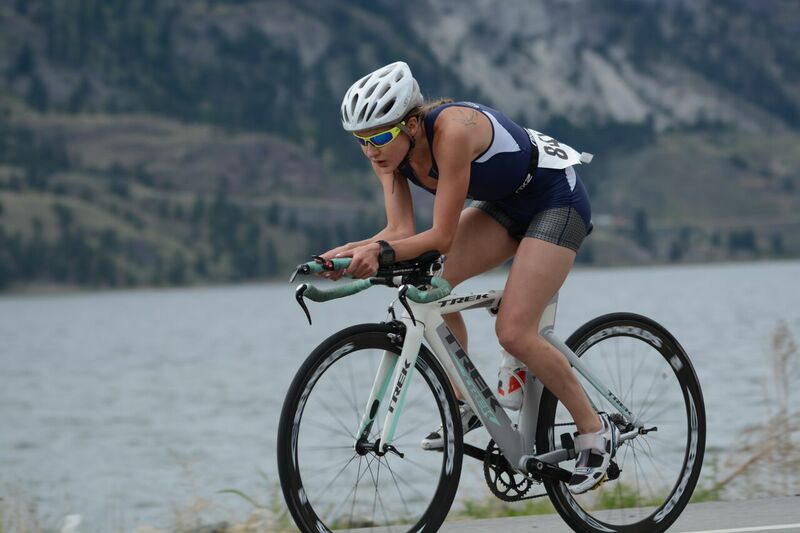 Lauren is native to British Columbia and competes in Triathlons locally and internationally. Throughout her career in Tri's, Lauren has been named the 2013, 2014 and 2015 BC Provincial Sprint Distance, Olympic Distance and Duathlon Champion. She also earned a bronze medal at the ITU World Championships (Age Group 20-24). We've asked Lauren 20 questions below so we could get to know her! Enjoy. 1. Who do you admire the most in sport? I started following the sport of triathlon because of Mirinda Carfrae. Both of us don’t have a formal background in swimming, cycling, and running, however her active and tenacious childhood resonated with my own upbringing…which planted the ‘triathlon seed’ in my mind. I admire her fierce competitive nature, ability to dig deep, and resilience to keep working towards her goals. 2. Were you involved in sport before Triathlon? I was always active growing up; I was the student who easily got an A+ in gym class. 3. Why did you decide to make the switch from soccer to triathlon? Aside from Mirinda Carfrae's inspiration, what made you fall in love with the sport of triathlon? Triathlon being not just one sport - but three - perfectly fits my driven, Type A personality. It highlights my dedication. My resilience. I like having to work for it. Triathlon is physically challenging - pushing my own beliefs to their limit again and again. Triathlon is mentally challenging - pushing my own beliefs to their limit again and again. It makes me feel like a badass. It's thrilling. It's caused some of the highest-adrenaline filled moments in my life. The happy endorphin's are great! 4. Biggest accomplishment/Proudest moment so far in your athletic career? He’s my hero, my teacher, my inspiration, my biggest fan, and most importantly, my dad. As a kid, I wanted to be like my dad. Today, I still do. 7. What advice would you give yourself 10 years ago? Do more of what makes you happy and don’t care what others think. 8. Where have you travelled to outside of Canada? In 2011, I lived in Bermuda, working as a Personal Trainer/Fitness Instructor at the Fairmont Southampton. I’ve also done two Caribbean cruises where we travel to various destinations along the route. 11. Cooking, baking or take out? Cooking for sure! BBQ'ing is up there for me as well (12 months of the year!). I like to know what goes into my food. Lately I have been addicted to ‘Glory Bowls’ – they are easy to make, endless options for variety, and deliver an abundance of nutrients in one delicious bowl! 16. Three things you would want with you on a deserted island? Anything outdoors and active! I can’t wait to try kiteboarding this summer! Hiking, rock-climbing, paddleboarding, skiing (water and snow), yoga, etc. However when I do chill out, I love a good camp fire, watching movies, and making a mess in the garden and kitchen! My dog - Kaya. She is the most energetic Springer Spaniel I have ever had. She makes me laugh (out loud) every day. 19. You win the lottery, what do you do? 20. What are your social media accounts? March and April were some crazy months over here at Infinit. At the offices, we started renovations on our new space - opening up the store front and getting a good grasp on our new manufacturing facility. We were also a finalist for Small Company of the Year at the Business Excellence Awards in Windsor, ON. Click here to see our highlight video: Infinit Canada Small Company of the Year Finalist! Our athletes were also busy these past couple months with a number of them kicking off their 2016 Seasons, with their eyes on Rio in August/September. We saw the CrossFit Open take place with Kyle Kant and Jolaine Undershute advancing to Regionals, and Lionel had a great start to his season, earning a 3-0 record so far. 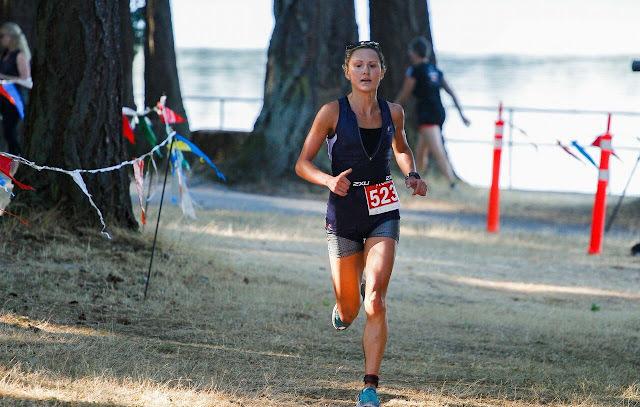 We also welcomed Triathlete Lauren Babineau to the team in April - stay tuned to the blog for a post from her next week! May continues to be a busy month for the team. Check out the athletes schedule below! May 4 - Joanna Brown heads to Mexico for the World Cup. The course here is similar to what she would face at the Rio Olympics! May 7 - Noelle Montcalm hits the track in California. May 14 - Kyle Cant prepares for the CrossFit Regionals at the AMRAP Series at Windsor CrossFit. May 15 - Julie Kelly opens her season at the Salty Dog. May 17 - Ben and Chaim stay close to home this time as they take on the FIVB Open in Cincinnati, Ohio. 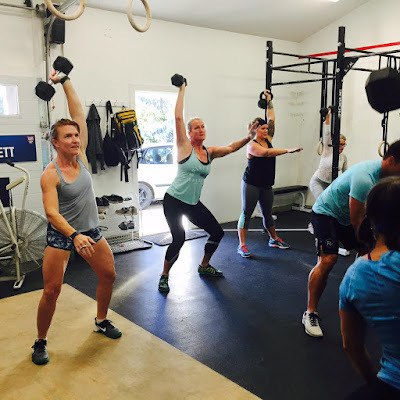 May 20 - Jolaine Undershute looks to dominate at the CrossFit West Regional in Portland, Oregon. May 21 - Melissa is ready to kick off her outdoor season at the Windsor Open. May 24 - Ben and Chaim travel to Russia to compete in the Moscow FIVB Grand Slam. May 27 - Kyle competes at the CrossFit East Regionals in New York, with a shot at the CrossFit Games on the line! May 29 - Lauren races at the Shawinigan Lake Olympic Triathlon.